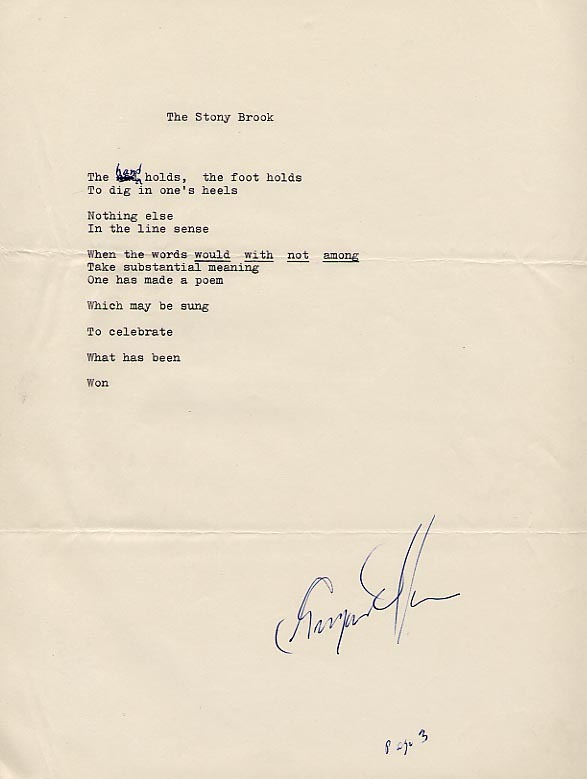 Note: this unpublished typescript of 'The Stony Brook' was sent by George Oppen in 1968-9 to Walter Hamady of the Perishable Press as part of a five page manuscript for the book Alpine (1969). Oppen made revisions to the poem and re-titled it 'The Song' (see Oppen's New Collected Poems, p. 299 for text of the final version). Reproduced with permission of the owner (private collection).